Add the finishing touch to your shaded outdoor dining set with the Galtech 75 lb. Cast Aluminum Umbrella Base. 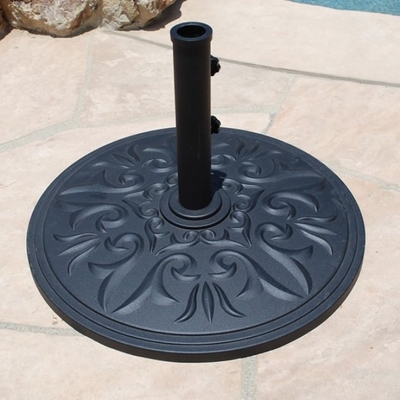 Constructed of weather-resistant cast aluminum, this decorative base is available in a black or desert bronze powder coated finish. Long and short tubes are included for use with various sized umbrellas. * Weight (lbs): 75 lbs.